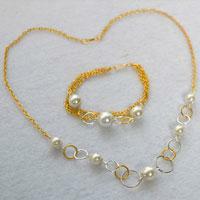 Want to try simple jewelry set? Then you can see today’s Pandahall original tutorial about how to make Tibetan snowflake bangle and European beads necklace. This Pandahall original DIY project will show you an easy way to make flower earrings and ring set. 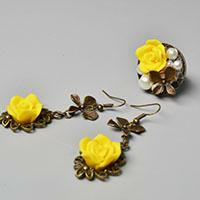 Follow me to see how to make the flower earrings and ring set. 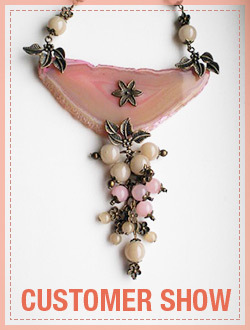 Do you need any pretty jewelry for this summer? 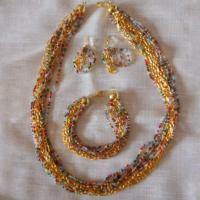 Then I think this Pandahall tutorial on how to make glass and seed beads jewelry set can help you. Follow me to see the details below. In this article, you can see a set of glass bead pendant necklace and earrings. 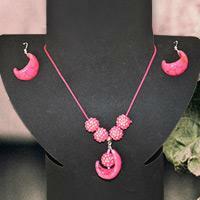 Read on to know how to make the pendant necklace and earrings jewelry set. 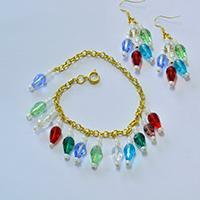 Today, I will show you a Christmas Jewelry set – beaded necklace and earrings. 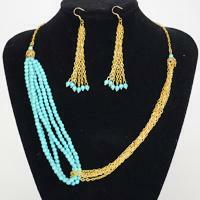 On the coming Christmas Day, it will be a beautiful scene to wear such kind beaded jewelry set. 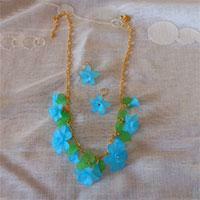 In this Pandahall article, you can see a set of handmade flower necklace and ring. The main process is to make the bead flower. Follow me to see the details. This is a DIY jewelry set tutorial on how to make a three strand black necklace and earring set. Hope you like them. This article is going to show you step-by-step instruction on how to make bead wedding pearl jewelry sets with seed beads by your own hands. 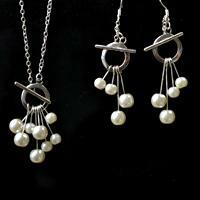 How to make fashion jump ring jewelry with pearls? Here I will show you full step-by-step tutorial with photos. Today’s instruction is to teach you how to make beaded necklaces and earrings, hope you like this turquoise necklace and earrings set. 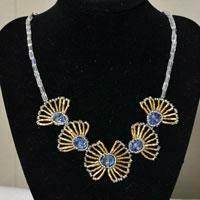 This tutorial is entirely about how to make handmade jewelry set with beads, this pair of necklace and bracelet sets are very suitable for chic office lady. Hope you will like it! Today I want to show you a polymer clay jewelry tutorial, so easy and beautiful, everyone can take a try. Today I’d like show you how to make resin jewelry at home - a cheerful hot pink jewelry set made easy for casual. Are you finding easy handmade jewelry to start your DIY journey? 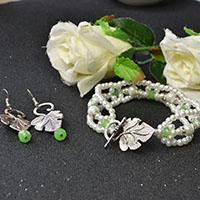 The flower jewelry sets in this project is for green hands. Let’s see how to make beaded necklaces and earrings now! 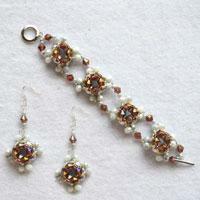 I share this seed bead jewelry patterns for beginners. 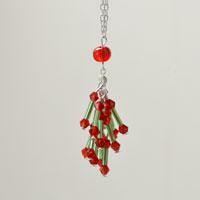 Follow me and get a set of handcrafting chain and bead jewelry back! 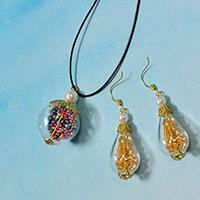 Check how to make jewelry with seed beads right now! 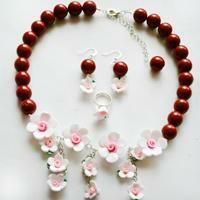 It is an easy-to-make floral necklace and earrings set! Like this chain and bead jewelry? Follow me and read the how to make beaded jewelry instructions now!